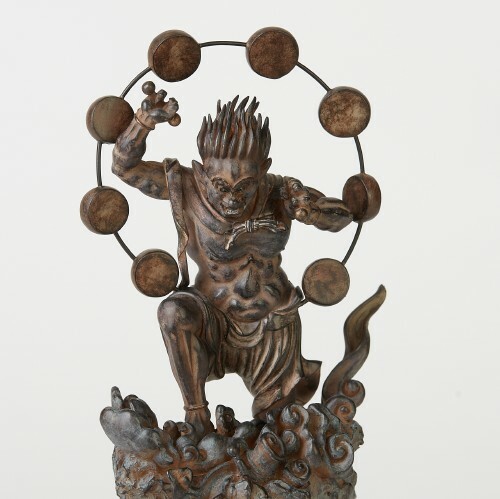 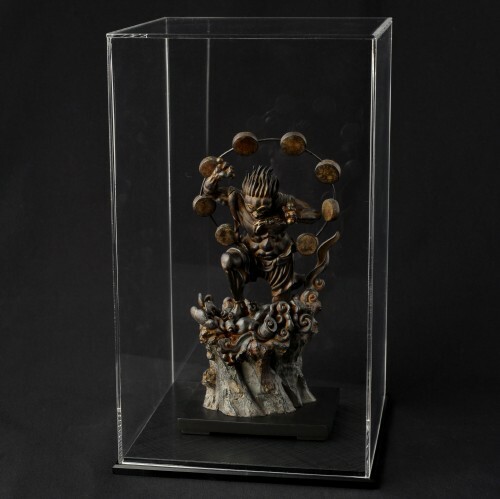 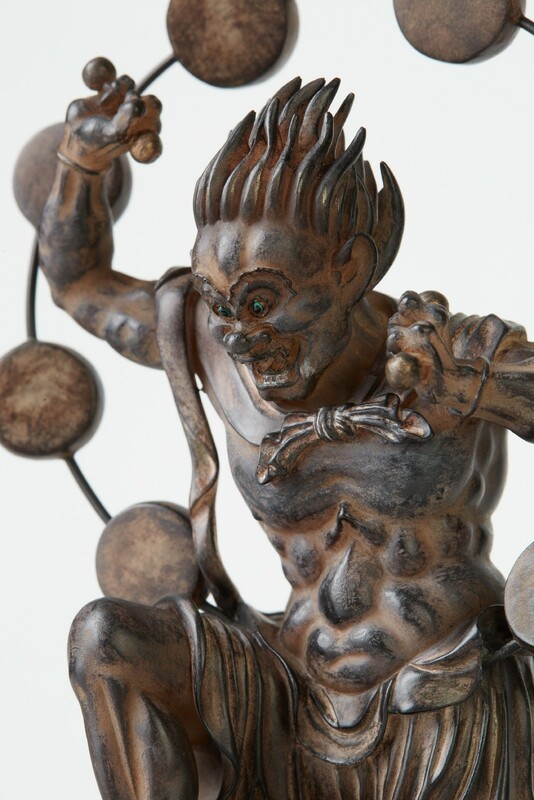 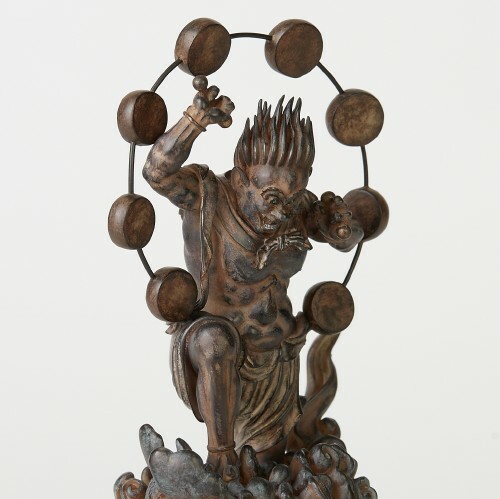 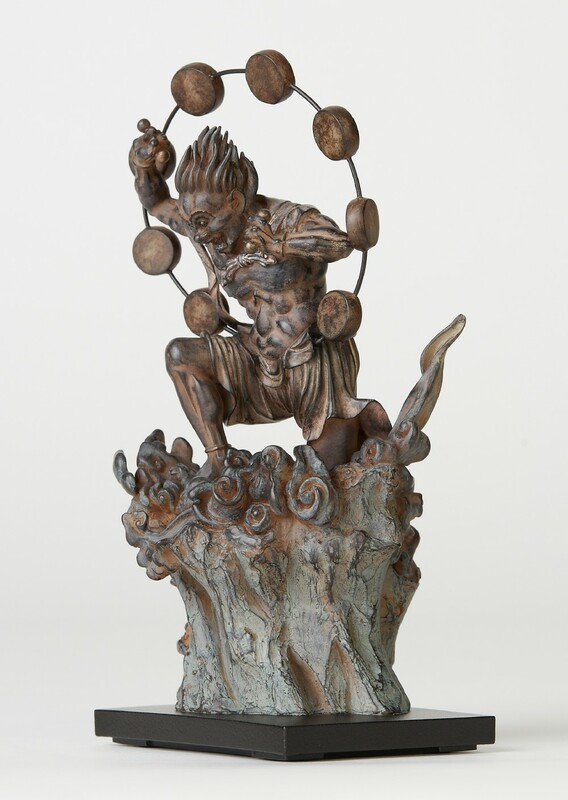 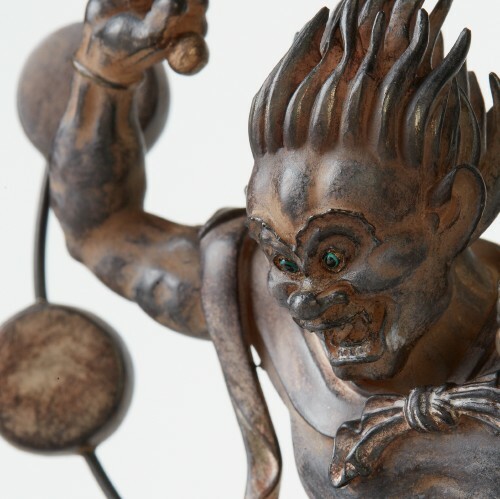 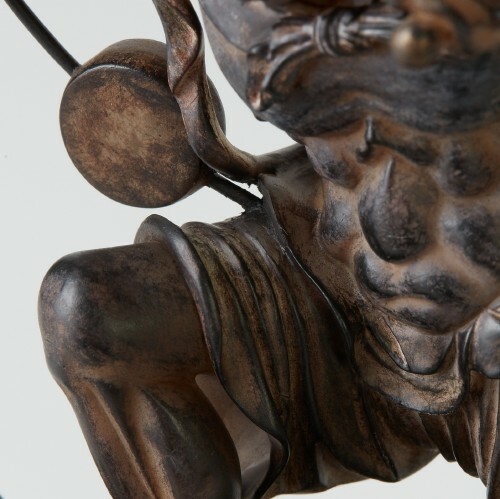 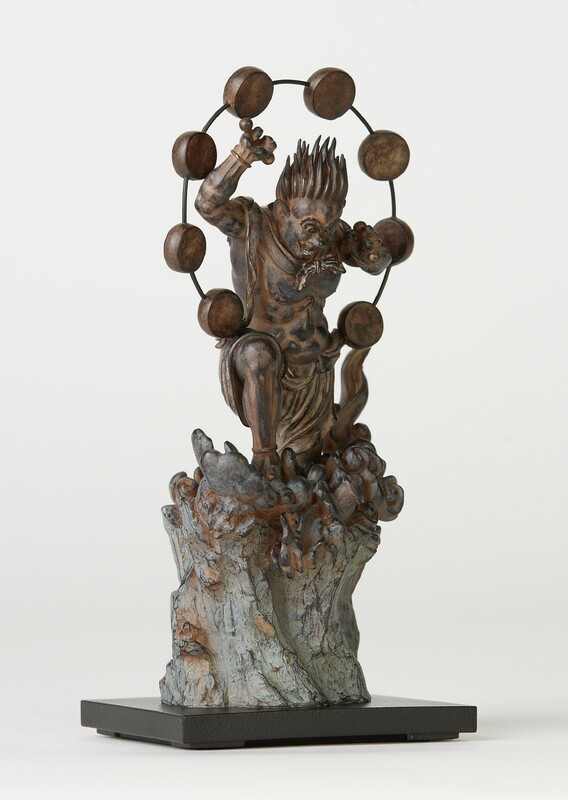 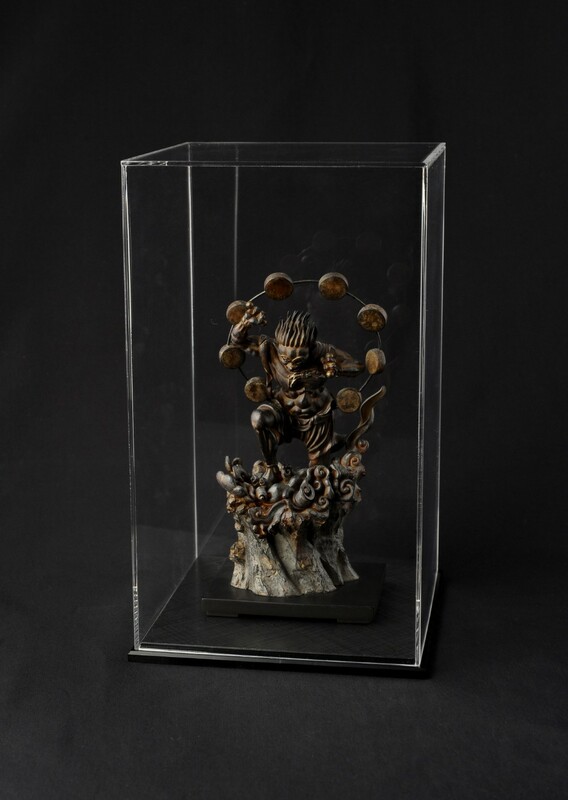 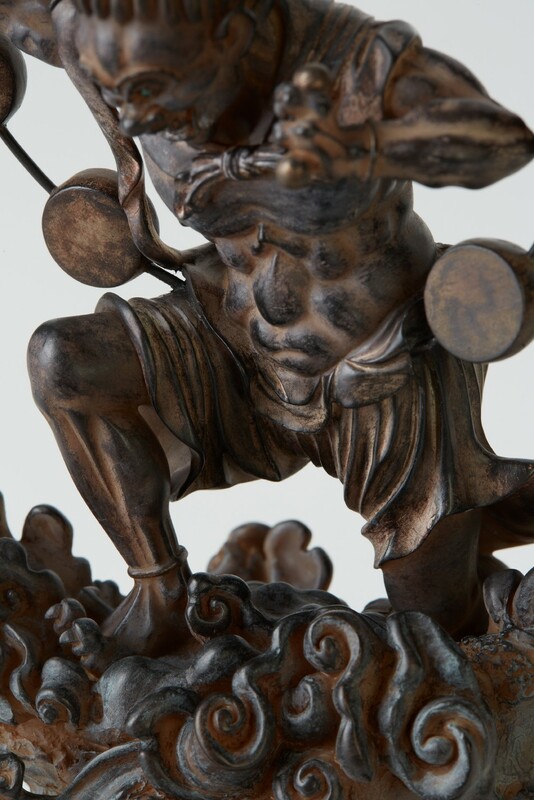 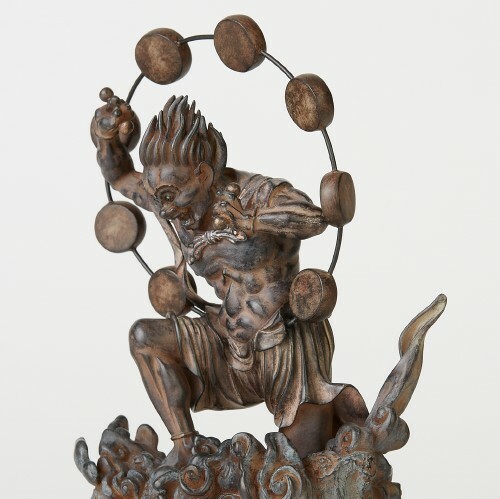 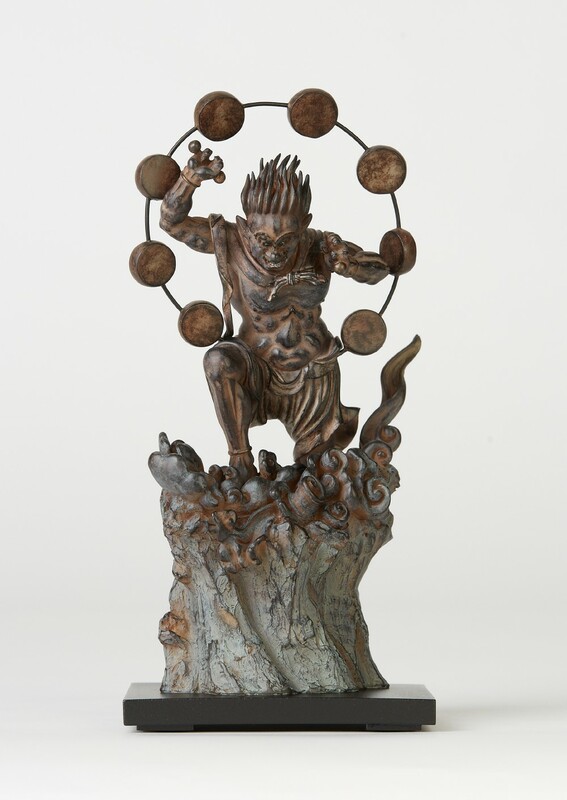 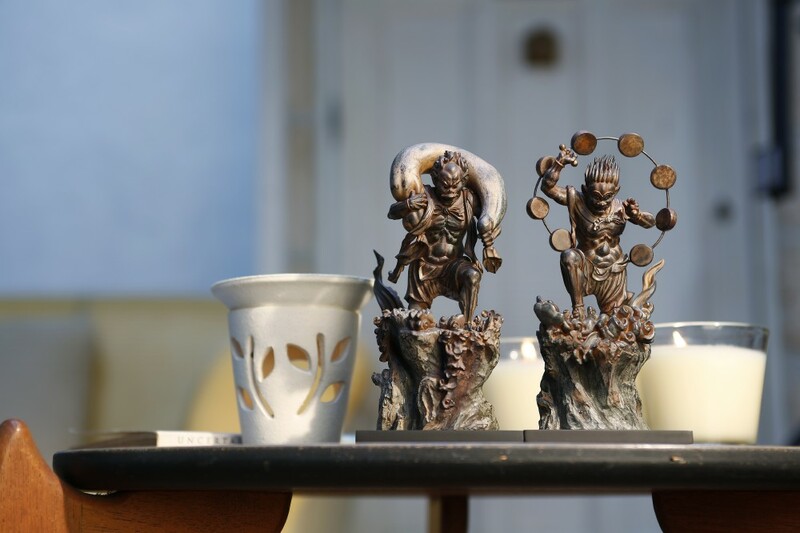 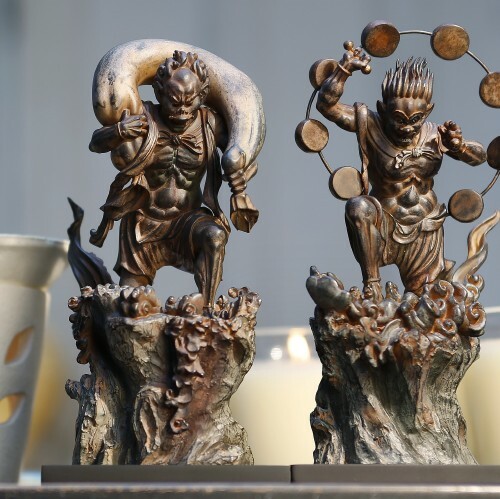 Fujin and Raijin are deifications of the natural phenomena of wind and thunder, respectively. 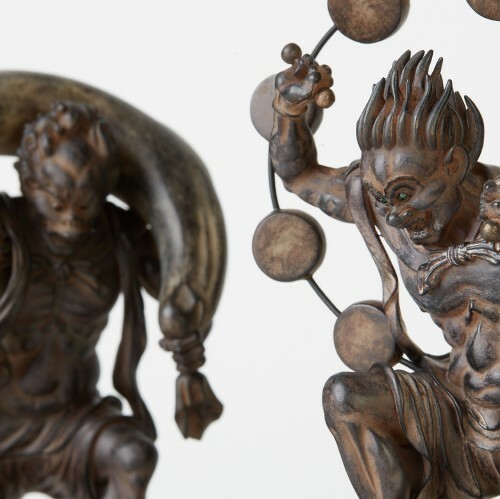 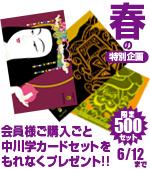 These deities bring prosperity to the lives of the Japanese who once were agricultural people, but also bring terrible disasters. 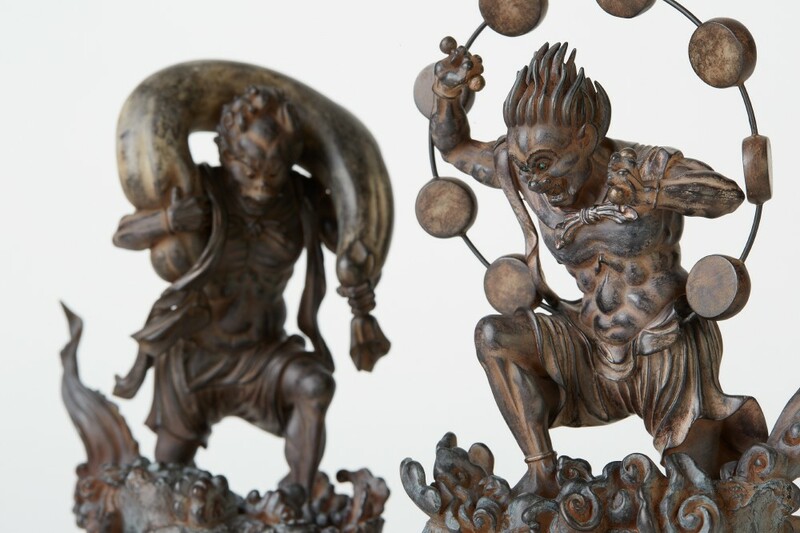 Despite their fearsome facial expressions, these statues bear a somewhat humorous air.